If you and your family love the pool to be right up to your doorstep or prefer to join in on the pool action, you will love this hotel. The hotel lives up to its name “Paradise” and is hitched right up to the beach front and with some top quality food on offer, your holiday starts the minute you enter the door. 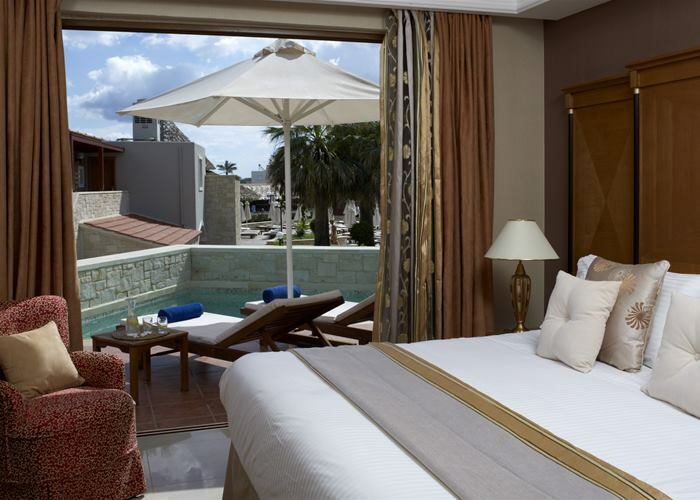 Cozy up in this luxuriously comfortable double room perfect for two. These spacious and tastefully decorated rooms come with a double bed and an extra sofa bed. 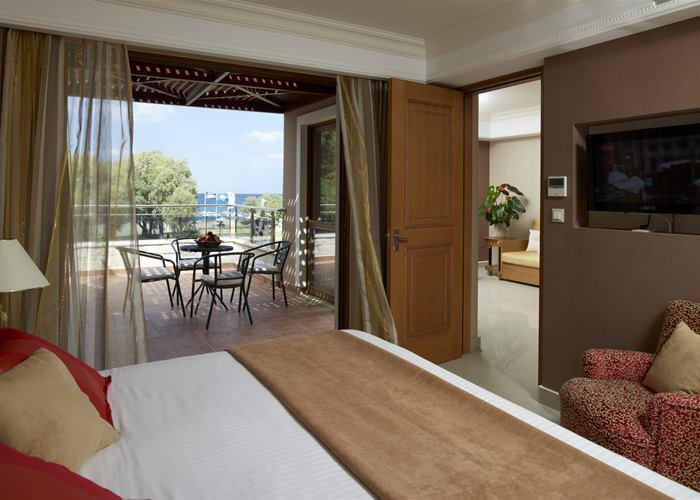 There's a balcony or terrace with an inland view and the rooms come complete with a mini fridge, LCD TV and air conditioning. 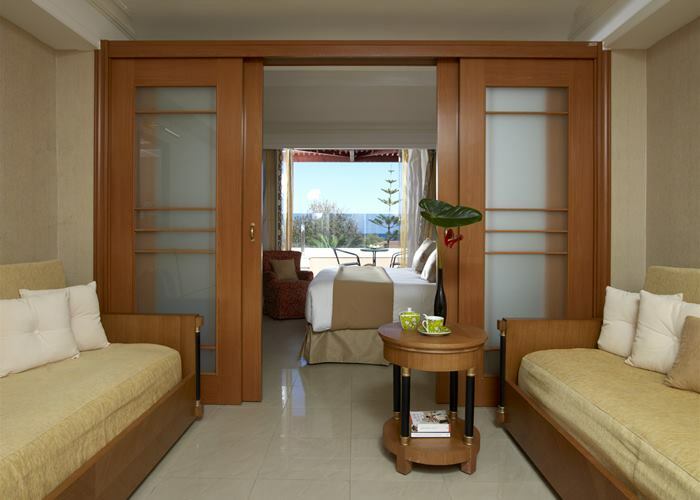 Cozy up in this luxuriously comfortable double room perfect for two. 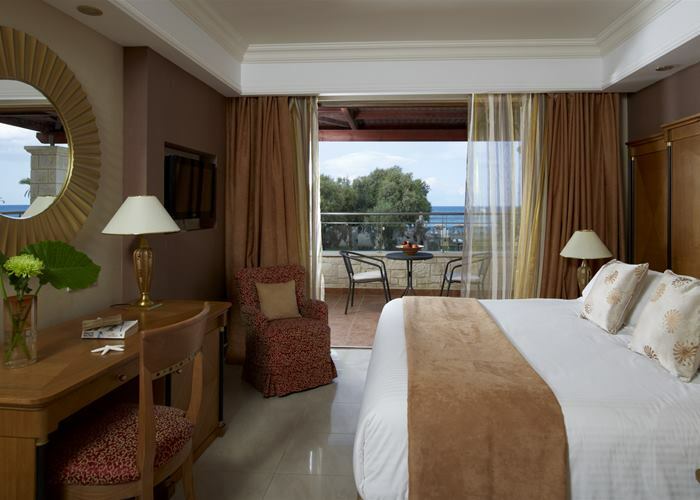 These spacious and tastefully decorated rooms come with a double bed and an extra sofa bed. There's a terrace that leads on to a swim-up pool so you can enjoy a swim right up to your doorstep. The rooms come complete with a mini fridge, LCD TV and air conditioning. Family rooms combine practical family space along with relaxing comfort for both adults and children. They sleep up to 4 people made up of one double bed and two sofa beds in an area partially separated with sliding doors. The room is equipped with a mini fridge, LCD TV and conditioning. Family rooms combine practical family space along with relaxing comfort for both adults and children. They sleep up to 4 people made up of one double bed and two sofa beds in an area partially separated with sliding doors. 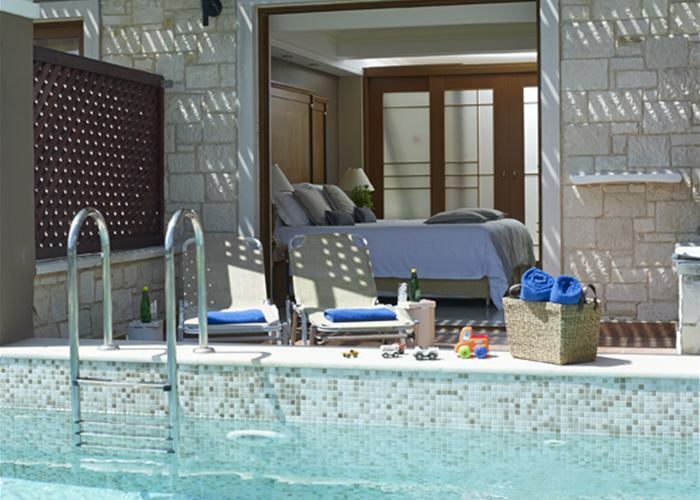 The swim up pool hitches right up to the terrace and the rooms are complete with mini fridge, LCD TV and conditioning. With a separate bedroom with double or twin bed and a living room area that can sleep up to two persons, this suite has all the comforts and privacy giving you the homely feel that you need. Rooms are equipped with a mini fridge, LCD TV and air conditioning making your living space a comfortable environment for your holiday experience. 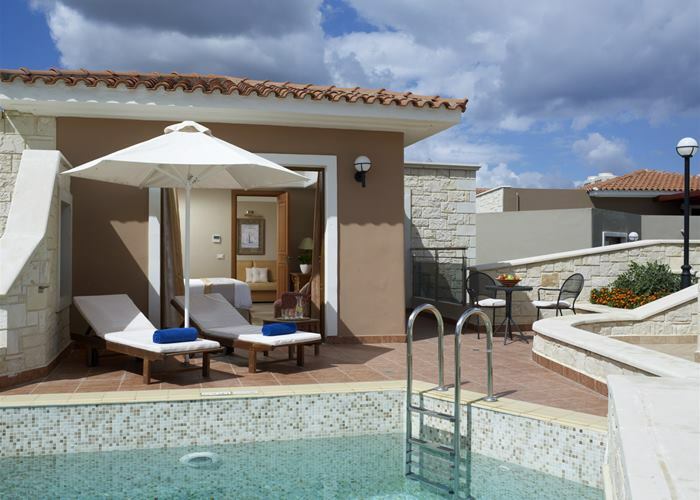 With a separate bedroom with double or twin bed and a living room area that can sleep up to two persons, this suite has all the comforts and privacy giving you the homely feel that you need with the added bonus of a swim up pool right up to your private terrace. Rooms are equipped with a mini fridge, LCD TV and air conditioning making your living space a comfortable environment for your holiday experience. If you love spending the day by the hotel pool, you can do much better and stay in your own room with a private pool where it is possible to dip into the pool right from your back door. This room can sleep up to 4 people made up of one double bed and two sofa beds in an area partially separated with sliding doors or without sliding doors. Rooms come equipped with a mini fridge, LCD TV and air-conditioning making your living space a comfortable environment for your holiday experience.